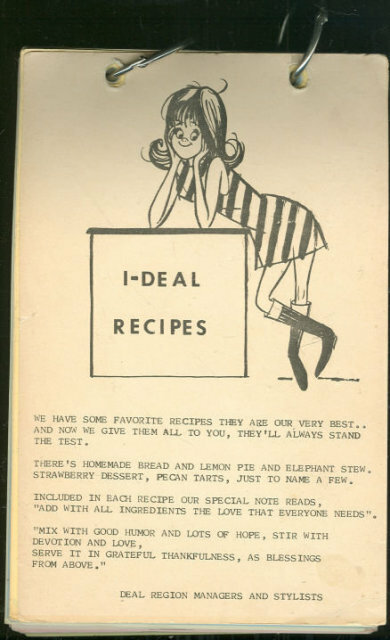 I-Deal Recipes from Beeline Fashions. Illinois. Private Printing. 1976. Second Edition. Spiral bound. Very Good. Edgewear. From the Stylists and Managers representing Beeline Fashions in the Deal Region of Illinois, Black and White Illustrations. 165 pages. Items Similar To "I-Deal Recipes from Beeline Fashions of Illinois 1976"